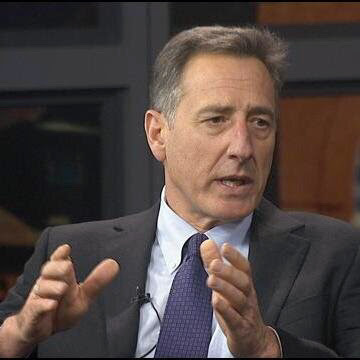 Governor Peter Shumlin addressed Vermont water quality issues in his January 8, 2015 Inagrual Address. “Innovative energy projects can also help us with another pressing problem: water quality. In St. Albans Bay, locals are deploying several new manure digesters designed to take waste from up to 10 farms in the region. They generate energy for the farm and sell the by- products, saving money while diverting many tons of farm waste that could otherwise end up polluting Lake Champlain. “Projects like these are so important because we are rapidly losing the battle for clean water. We love our rivers and lakes, from Lake Memphremagog to the Battenkill, from the Lamoille River to Lake Bomoseen, from Otter Creek to the river I grew up on, the Connecticut. And we all revere our crown jewel, Lake Champlain, which supports hundreds of millions of dollars in economic activity every year. Protecting Lake Champlain means protecting our economy. “Anyone who spent time on Lake Champlain this past season experienced first-hand the heartbreaking reality that it is suffering now more than ever. To see and smell the massive blue-green algae bloom on St. Albans Bay, or at nearby Lake Carmi, and to hear the pain and frustration in the voices of the homeowners and businesses who have patiently waited for cleaner and clearer water is simply devastating. “Legislative action is critical but you cannot go it alone. Families, business owners, local officials, anglers, farmers, and community members from every corner of our state are working to find solutions to clean our waters. We are inspired and informed by the efforts of community groups like the Friends of Northern Lake Champlain, the Lewis Creek Association, and the Franklin Watershed Committee for Lake Carmi. You also have the support of local leaders like my former seatmate David Deen of the Connecticut River Watershed, Denise Smith, and business owners like the Tylers of Tyler Place and Bob Beach of the Basin Harbor Club. Organizations like the Lake Champlain Regional Chamber of Commerce have spoken forcefully about the need for strong action and business community support to protect the lake. Farmers like Tim Magnant in Franklin and Brian Kemp in Salisbury are showing that it is possible to use innovative, practical, and cost-effective solutions to the problem of pollution on our farms. “This collaboration is matched by the exceptional leadership of our congressional delegation. Thanks to the efforts of the Saint of Lake Champlain, Senator Leahy, Senator Sanders and Congressman Welch, the federal government is committing millions of dollars in additional funds to help achieve our clean water goals. “I am also your partner. I have asked my Cabinet to implement the Lake Champlain restoration plan we submitted to the EPA last spring, the most comprehensive and strategic effort yet undertaken by the State of Vermont to protect and restore our waters. Reasonable people will ask: How is our plan different and better than past efforts? What we have learned is that we need to use data to target the greatest resources to the greatest sources of pollution, to get the greatest return on our money. “Should the EPA reject our plan, we know the measures they would require will be more costly and less targeted than the plan we have laid out for ourselves. We know the biggest contributors to our water quality problem – 40 percent from farm runoff and 20 percent from roads and developed lands. We also know the largest pollution sources that we should address first and where they are located. If the EPA does not approve our plan, we would lose the flexibility to target our biggest problems first and instead have to spend hundreds of millions of dollars on the limited areas where federal law gives the EPA direct authority – upgrading our municipal wastewater plants, even though pollution from these plants only contributes about 3 percent to our Lake Champlain water quality problem. That does not meet Vermont’s common sense test. “First, with your support, we will help towns meet their obligation to properly maintain roads to prevent runoff leading to erosion, which will keep nutrients and sediment out of our water. We will help them implement modern storm water management systems that capture and treat the polluted runoff from dirt roads, streets, and parking lots. “Second, most of our hardworking farmers and loggers want to do the right thing, because they care about Vermont and they recognize that efficient farm and land use practices often will save them money in the long run. But they sometimes need financial help to make improvements, so we will direct significant new resources to help them reduce water pollution from their operations. We will also work harder to keep livestock out of our streams, and seek more careful management of tilling practices and manure application. With Attorney General Sorrell, we will redouble our efforts to enforce existing water quality regulations, so that the good work of the many is not undone by the few. “Third, I will ask you to help me hold those farms that have not been doing the right thing more accountable by adding teeth to our current use program. Similar to the way we treat foresters, farmers who are not following the required practices that prevent pollution should not enjoy the property tax reduction of current use until they do the work required of them. “It will take time and patience to make these changes, but it will also take money. “Therefore, my capital budget will include $6.75 million for technical assistance and direct investment in water quality projects around the state. This includes $1.6 million in state match which will leverage $8.2 million in federal EPA grants for a total of $9.8 million for low- interest loans to municipalities, and increase to $3.75 million funding for innovative storm water management projects, and $1.4 million for the Agency of Agriculture’s cost sharing program for livestock fencing and other measures. My Transportation bill also includes $3.2 million for projects that reduce polluted runoff from our back roads. “I ask that you also maintain funding for the Vermont Housing and Conservation Board, even in this difficult budget year, to help support farms and forestry operations to improve water quality as we conserve working forests, farmland, and important natural areas. “First, we will propose a fee on agricultural fertilizers, because these products contribute to water pollution. This will raise approximately $1 million a year to improve our ability to address farm practices. “Second, we will ask owners of commercial and industrial parcels within the Lake Champlain watershed for an impact payment. The annual payment will be modest, amounting to one hundred or two hundred dollars for a typical large commercial parcel. We are not asking for payment from hard-pressed homeowners who are already struggling to pay property taxes. “The Vermont Clean Water Fund will be structured so that it can serve as a repository for additional federal and private funding sources. While dedicated state revenues are needed to help this effort, we cannot do it alone. “I have begun soliciting private donations to the Vermont Clean Water Fund and am very pleased to announce that Keurig Green Mountain, a company that depends upon clean water and has made significant clean water investments worldwide, has generously agreed to donate $5 million over the next five years for water quality stewardship projects right here in Vermont. Working with scientists at UVM and Limnotech, the Keurig funds will support projects here in the state that launched this extraordinary company. I want to thank Keurig CEO Brian Kelly, whose Chief Sustainability Officer Monique Oxender is here today, for Keurig’s vision and commitment that will pay dividends for Vermont and Lake Champlain for years to come. I hope Keurig’s generosity and focus on the importance of water quality will inspire others to aid our efforts. “With plenty of frustration with our progress on water quality, Vermonters have also lost patience with finger pointing about who is to blame. We must all take our share of responsibility and work together across the divides that can exist among advocates, businesses, farmers, neighbors and government to get the job done. I need your support to ensure that the State of Vermont does its part, and I look forward to working with you this session to launch a new era of clean water in Vermont. This effort will be part of our legacy, and the time to act is now.